I am a self-acknowldged planner. I don’t just want to know what is happening tomorrow, or next week, but I would like life to show me the next ten years, complete with road map and all the major stops along the way pre-determined. Yes, I am laughig too, fifty years of life has shown me that life’s take on plans is how to distrupt them. As a child I wanted to know what was next, how would we handle various contingencies and I have strong memories of my daddy often saying, “we’ll cross that bridge when we get to it.” I found that response to my queries to be extremely frustrating and disconcerting. If the hero in my life didn’t know than how was it all going to work out? I learned over time to silently work out scenarios in my head as a way to prepare myself for whatever curve ball might come my way. This has served me weill in emergency prepardness plans, personally and as I have lead classrooms full of children through, fire, earthquake, tornado and active shooter drills. I have been trained in emergency tourniquets and have contingency plans ready for a variety of horrific events. My scenario processing has also helped me to remain calm when facing decisions, chances are I’ve thought about the decision well before I actually had to make it. However, life has a funny way of throwing a scenario at you that your wildest imagination hadn’t even considered. That road map through a decade has some detours that were unmakrd and even some side roads that have such a strong allure you can’t help but make a little exploration. The troubled waters are alway looming and while some preparation can be helpful in figuring out how you might cross them, what kind of bridge you might need to contruct, Often times the truly best options don’t present themselves until you are standing on the banks searching for the way forward. I’ve been in a season of my life this past year where obligations and some side-roads on my map have taken me away from my writing life. A novel I had planned to finish and publish last fall and then this spring has moved from riding shotgun, to the back seat and then stowed away in the trunk. The bridge back to it has been a bit elusive and I have come to the conclusion that it’s okay. My school year, which has demanded so much from me, but which I have also loved and the friend who has needed extra care and help from me, also which I have loved to provide, are both lessening in the demands. My focus on my health by establishing a regular exercise routine is part of life now and not such a destracting burden and a new summer season is a mere ten weeks away and I can see my way back to my writing work. My Daddy has been taking a large collection of slides and changing them into digital photo files. I’m sure those born after 1975 are probably scratching their heads as to what a slide is. I used to love when we would set up the screen and the projector with a loaded carousel and click our way down memory lane. Daddy emailed this picture to me and I saw my teacher-self and my writer-self in their incubator stage. How excited I was to be writing with chalk, another instrument of the past. As a leftie, I struggled with proper penmanship for years, but I would enthusiastically write and draw despite the legibility. Fast forward to the world we are in today and I really worry about the current generation of young children who spend too much time on electronic devices and not enough with paper, or boards and writing tools. There is a lack of fine motor development and literacy development that is becoming a growing problem. Scribbling is such an important part of brain, motor and literacy development and children need to time to do it. I have a passion for writing, but I also had a childhood rich in literature and ample opportunity to write at many developmental stages. I wonder if subsequent generations will be as literate as those of us who came before them. What will society and humanity lose if they are not? If I could speak directly to parents of pre-schoolers I would preach to them to shut off the devices, visit the library, set up a dry erase board and get a pile of scrap paper and immerse their children in literacy. It will ensure a richer future for their child and also make their school experience more successful. I believe that what elevates a culture, what keeps a culture going is its arts and literature and I fear America is falling short compared to our European counterparts. As a first-grade teacher, I view the two most important parts of my job are to turn students into readers and that they develop a love for reading and writing that will stay with them for a lifetime. As a writer, of course, I want people to buy my books, but I also love that my books are in libraries, because most of all I want people to read and enjoy my stories. My passion for books, reading them and writing them is my soapbox and I could go on for days about the virtues of both. It was nice that this vintage photo slide reminded me that passion is deeply rooted in my beginnings. I have a meeting this Monday with my cover designer and I have a vision for the art in my mind. Sounds like it should be an easy meeting, right? If I could say with certainty what the title is going to be. . . I have forty-eight hours to figure it out. This book is a prequel to the trilogy I completed last year. The story itself came to me with clarity. The title has been somewhat elusive, although, I do have a working list. 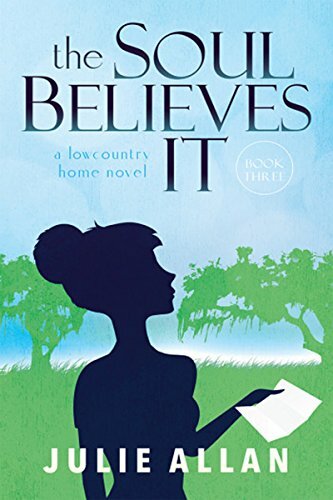 This novel like all the others so far is set here in the Lowcountry of South Carolina. So much of the evocative landscape plays an inspirational role for my heroine and I want that reflected in the title. However, the Lowcountry and the coast, in general, are so inspirational many of the key words I initially came up with to incorporate were in so many other titles I had to go back to the drawing board. I came up with one title, I really liked, then my editor pointed out that it implied a tongue and cheek, humorous book. This didn’t mesh with the interior. This is a story of love, loss, redemption, forgiveness and confronting truths. I don’t want a title that might mislead a reader. Although I have tucked that title away for a truly lighthearted story for down the road. So from a list of about twenty ideas, I have narrowed it down to about eight contenders. At best, I will narrow it down to one by Monday, or at least the top three to share with Chris, the designer, and get his take. When we name a book, a business or even a child, we have to think about how that book, business or child will be perceived by the world based on that name. Let’s face the facts, even if Trixie (No offense intended to anyone named Trixie) has a degree from M.I.T., on introduction we might assume she is a flighty sort. That’s just human nature. A business’s name must convey a sense of what they sell or an aesthetic that will resonate with buyers. A book title should relate to the content and intrigue a reader enough they will read the back cover synopsis. Perhaps once one becomes a name recognized author to a reader then the title is of less importance. I will read anything by Peter Mayle, regardless of title. But I bet he or his editor work hard to get just the right title, all the same. Shakespeare has his famous line about what’s in a name, he understood the weight a name can carry, he understood human perception based on a name could have a bearing on reality. He also understood that what really mattered wasn’t the name but the essence of the object or person. A book’s content is its essence and in theory, should not be judged by its cover. The reality is the cover and the title will be judged, so care should be taken with it. The trimmings from the side yard, I sure hope it’s the third Monday the trash folks pick up the yard waste. October is moving at a breakneck pace and I have been patiently waiting for the usually accompanying cool weather. By South Carolina standards that means the upper seventies with a nice breeze and a decrease in the humidity. Much cooler than that and we might think we slipped into winter. Yet here we are October 21st and we are in the eighties. Granted, the humidity is not at August levels and there is a breeze so I jumped into the annual fall garden clean-up. The above is just from the side yard and the adjoining front corner by the garage. I have much more to do, especially in the back, but I’m holding out with the hope next weekend will be a little cooler. As I trimmed, shaped and weeded I got thinking about how writers do the same thing with their work. The first spilling out on the page is usually untidy and overgrown in parts. Sometimes whole sections need to be moved or cut altogether. Occasionally a seedling is found and can be cultivated to enhance the story. As my brain reflected as it seems to always do when I’m working in the garden, I also saw the beauty of how this trimming works in our lives. We trim away old habits or toxic friends. We weed out our closets and other possessions to give space for the things we actually like and use. We examine how we are using our time and try to clear our calendars and to-do lists of the things that detract from a meaningful life. There is something soothing and energizing about restoring order and clearing away the excess. In the garden, In the closet or garage, in relationships and how we use our time. For me, these clean-ups work best when I do them on a fairly regular basis. I find that the changing of the seasons, regardless of cooperation of the weather are great times to stop, reflect, pick an area or two literally or metaphorically to trim up and weed out. Then discard that excess, the baggage that holds you back, and move on, there is an even better life just ahead. My last post was all about how as an educator, August is a month where my life is annually eclipsed by the setting up of a new school year. This year has been an eclipse of totality as I have moved along with many of my colleagues into a brand-new school to alleviate our community’s overcrowding. It has been exhausting and exhilarating and I am truly happy with the decision, but the extra work this year has caused me to examine the pace I’ve been keeping and make some adjustments. Once I formulate a goal and make plans, I admit it is hard for me to adjust course. However the older I get, the better I become at flexibility and recognizing the need to pause once in awhile. We all need periodic check-ups to see if how we are spending our time and effort align with our values and our long-term goals. Life has also taught me that there are seasons where one area of our life must have the lion’s share of my attention. I’m at that place now. I had planned when I started publishing books to publish two a year while working a full-time and a part-time job outside of writing. I could be super woman, bring home the bacon, fry it up in the pan and maintain, family, friends, a Southern Living pictorial worthy home and garden . . . I could go on, but I’m sure you get the picture. I am loving this fourth book I am working on, it is challenging me as a writer as the story takes place partially in a time frame prior to mine and deals with some serious matters for my characters. I had planned to have it come out right before the holiday season this year, but I realized in my current August eclipse, I would have to finish it with a rush job and that did not sit well with me. The volume of my published work will grow over the next few decades naturally, I don’t need to rush it. Some years I will publish two a year, some years just one and that’s okay. At some point, writing will become my full-time work and then setting quantity goals might be more realistic. By pausing I have room to breathe and give my story the attention it deserves. It will be ready by next spring and I will not lose my sanity in the process. If only I could pause the housework! Even with a template to work with, I found it difficult to make decisions. I tried several templates before I played around with this one called ficitve long enough I got the colors and the placement of items the way I had envisioned. Not bad for a self-taught techie. Experts talk a lot about the importance of branding for authors and I hope this color palette says beach and lowcountry to those who view it. 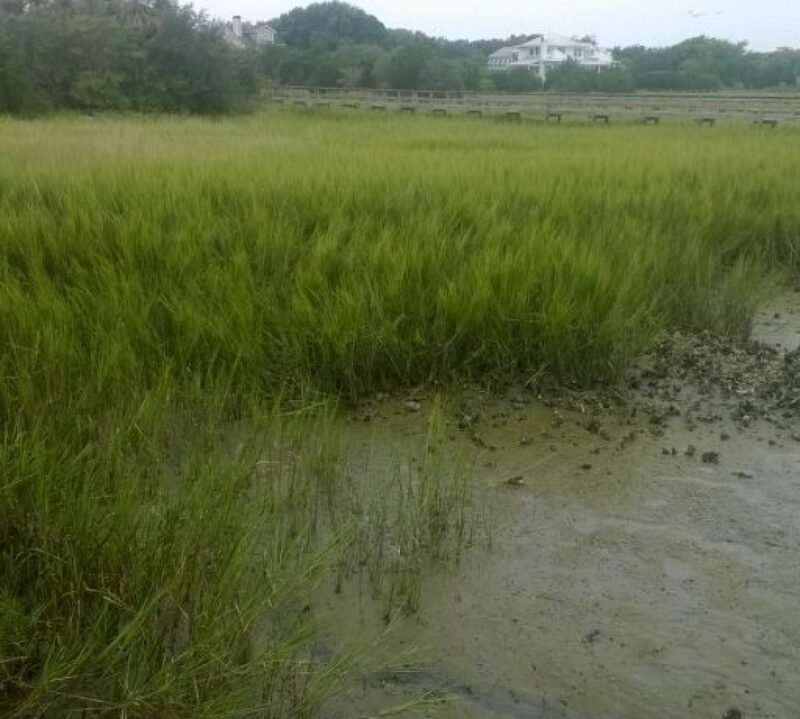 The lowcountry is a setting, but it is also a character in my stories. To me, the palette of the lowcountry is blues, greens, and browns. I hope my books are beach read enjoyable and I am happy to report not only has that been a comment in reviews from readers, it is also a key phrase to find my book on Amazon. Seriously, a friend sent me a screenshot of her beach read search and my first book popped up on the first page. So I hope you will enjoy my new look as much as I do, I have that swing my hair and look at my reflection in the glass feeling I get after I visit my stylist Mallory at the salon. I may just float out into the kitchen to take on my next task, finding something for supper. One of the advantages of living in the South Carolina lowcountry is the proximity of the beach and each season I seek the sand and surf for different purposes. For example, in the winter I love to walk, think, process, and reflect. In the summer I set up my office hours. A writer never really takes time off, your brain is always contemplating stories and characters, consiously or subconciously. Teachers on the other hand have what some consider the gift of summer, but what teachers know to be comp time for the many hours we work beyond our contracted hours. As both an educator and a writer, I spend a lot of hours working. That could be teaching, private tutoring or my author life and I enjoy it. Too much down time and I get a little antsy. Too little and I crash and burn and that what has me savoring this summer. I have learned from past summers, if I schedule too many tutoring students, I don’t feel rested for the next school year. Plus, as my writing career continues to grow it needs more of my work time. I also know my time at the beach is non-negotiable, it is a must. See beach time is more than relaxing, it is time set aside to read without distraction. If you read anything touting advice for writers, a given on the list is to be an avid reader. I have been a devourer of books before I began school and always have a stack calling my name. During a typical school year I manage to read a book or two a month but in the summers I can read several books in a week. To keep that pace, my office hours on the sand are a committment to reading. The average person might think I’m loafing, but I can clearly make the case that I’m working dillegently. At least that is my story and I am sticking to it! First ever bloom on Baby Magnolia, discovered June 4th. Back on May 15, 2015, I posted a blog titled, Magnolias, Progress and Patience. It was about how eight years prior a friend had dug up a seedling, basically a stick with two leaves and gave it to me to plant in my backyard. By 2015 it was full of leaves, yet till no blooms and I connected that to the birth of my writing career, progress slow and steady, but not published. Here we are in 2017 and Baby Magnolia is ten years old and we have our first bloom, I see another one has developed since the weekend and I can’t help but smile. Patience does pay off. Again, I see a correlation with my writing career. I too have first bloom. Although I have been a closet writer for a good part of my life, I didn’t get serious about it until 2014. Granted I have had a full, passionate and fullfilling career as an educator and I would never trade those years or wish them to finish prematurely, no matter what happens in the writing, teacher will be one of my labels for four to six more years. Of course if you ask me about it when the alarm goes off at five a.m., I will tell you I really look forward to the label retired teacher. I say I got serious abut writing in 2014 because that is the year I consulted a professional and committed to a blog. It was also the year I wrote my first novel for publishing, I had written a few others, just for fun and not for public consumption. In 2015, like Baby Magnolia I had grown. I had proven myself disiplined enough to publish a weekly blog, but I was unsure of the next steps of getting my book, The Eyes Have It out into the world. I had not bloomed. Then came 2016. I published two books last year and they did better than I had anticipated as an unknown author in a world full of books. I was encouraged. Perhaps when I retire from teaching, a writing career for an encore is a viable option. To keep the metaphor going I would say I finally produced a bud. Here we are in June of 2017, book three is a short time from launch, books one and two are performing well and I, like Baby magnolia, appear to have a full bloom on the branch. I like to think years from now, both of us will be full of blooms. Time, patience, persistence and most off all doing the work, those are the key ingredients to grow a career, no matter what field it is in. My wish for my students is that they grow up to live and work with purpose and fullfillment. If we follow our passions and focus on culitvating a career and a life that contributes to our community and brings joy to ourselves (Note I said joy and not money), then we ultimately bloom. So, here we are with the first bloom. It is a reassuring sign to keep the faith and keep going. Plant those seedlings in your life, with a little care and patience you will be rewarded. In the last year, I have written several posts about my favorite parts of the author life: cover design, meeting readers, and of course writing stories. Today I am working on one of my least favorite parts. If the picture didn’t clue you in, it’s editing. I am not opposed to a professional correcting, cutting, adding. I am fairly global in my approach to writing, I am all about the story, I admit (and I’m sure to disappoint the grammarians out there) I have a hard time focusing in on the details such as when I should use an em-dash. I am grateful there are people who not only focus on such things, but they have a passion for it. The only time an edit upset me was when the editor didn’t recognize a certain character did not use contractions when they spoke. The character was an older southern woman whose diction was drawn out, naturally she wouldn’t say wouldn’t, she would say would not. No, I hate editing, because it is so tedious. I also find with all the lines and color changes in an edit it is difficult to see the story and how those changes might impact it. However, I understand that all that cut and polish is what makes my story truly shine. Of course, it has not escaped me that I’m blogging about editing rather than jumping into the task of reviewing the edit. I am well aware of my own avoidance tactics. I love when I get to pages with very little red or blue notations. As much as I say I don’t care about the grammar details, I give myself an “atta girl” when I come across those pages. I was not an English major in college, although I had an excellent senior high school English Teacher, Mrs. Dever and my freshman English professors in college were impressed with the skills she sent me with. I want my work to be quality, I am humble enough to recognize it will always take the help of others to bring it to that level. Again I see how an author does not stand on their own, it is the quiet support team behind the scenes that elevates the work. So, I can’t shirk my task any longer. I hope I will not be cross-eyed by the time I’m done. I know my brain will be wrung out. I also know the clarity and luster of The Soul Believes It will make the effort worthwhile. Myself with fellow women’s fiction authors, Christine Nolfi and Pamela Poole at Fiction Addiction in Greenville, South Carolina. May 12th was the day I consider to be the first anniversary of my first book as published. May 13th, I added another first to my list in this author journey. I was part of a panel of women’s fiction panel at a wonderful bookstore, Fiction Addiction in Greenville, South Carolina. I have done book signings and book clubs, but this was the first opportunity I had to collaborate on an event with fellow authors. writing is a solitary pursuit and while I am very comfortable with that, it was refreshing to spend time with others who are traveling a similar path. I particularly enjoyed the car ride up and back with my mentor and publisher and fellow author Christine Nolfi. Christine is well ahead of me on this path and she was kind enough to share her wealth of experience with me and encouraging words for my journey. Every time I have done an event I realize that interacting with readers is one of my favorite things in an author’s life. I am sometimes surprised by that because before I got serious about my writing life I fantasized that I could hide out in a cabin by the sea and just send my books out into the world without me. I get a little nervous before an event but after, I am exhilarated and energized. I think I may be an extroverted introvert. I love that all of us on the panel had a Charleston connection, two of us live here, one was born here and would love to live here again. I was also fascinated by how different each of our writing processes were. We had great questions from the host and the audience. The flow was natural and we shared laughter and a love of storytelling. Like our stories in women’s fiction, we embodied what makes the tribe of women strong. Women supporting women makes for a better journey for all. Appropriate to ponder on this Mother’s Day. Enjoy the day y’all! Celebrate the women in your life, not just your mother. Most women, regardless of whether they have given birth nurture and uplift others, that I believe is the silent oath we take to be part of this tribe of women. I find southern women in particular, view this as a mandate and execute it with finesse, elevating it to an art. Woman alone is strong and capable, women together are a force beyond reckoning. I love my fellow man, but I am thankful every day to be a woman.